Enjoy a complimentary buffet breakfast each morning of your stay! Start your day with a delicious meal that will provide you with the fuel you need for a day full of activities and relaxing! 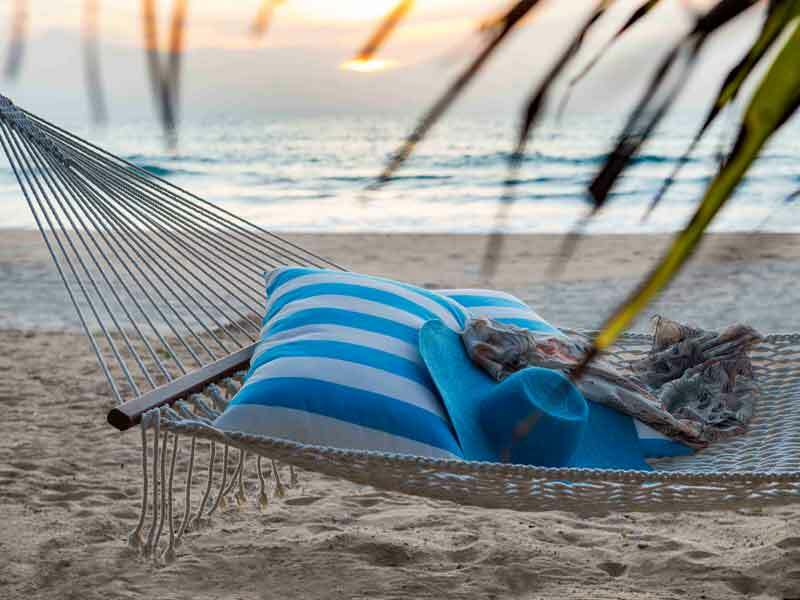 Two guests can relax and unwind at Akyra Beach Club with a 60-minute massage. 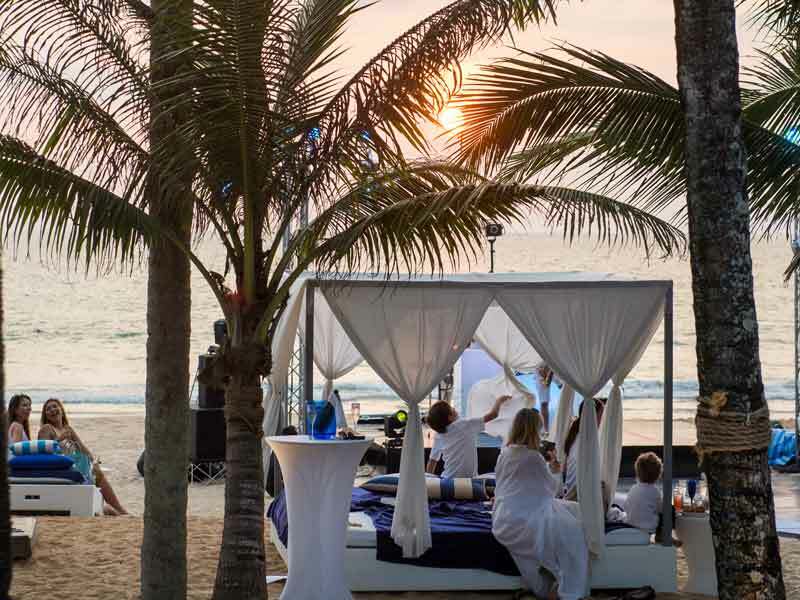 This experience is a truly indulgent way to rejuvenate on your holiday. We all get a little thirsty while laying out under the sun, right? Thankfully, this exclusive package includes a refreshing cocktail everyday to keep you cool & hydrated! A holiday can be expensive enough without the added cost of food! 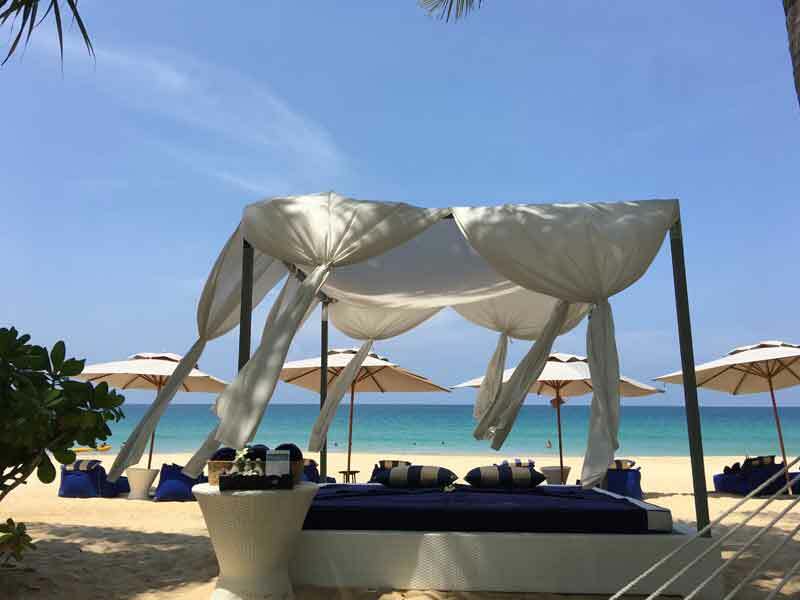 You can forget this worry when selecting this exclusive My Thailand package with an included 2 course set lunch and 3 course set dinner for 2 people. Simple yet luxurious, the Deluxe Suite covers a minimum 46sq. metres and accommodates 2 adults. Floor-to-ceiling windows make the most of all the tropical light, while the private patio or balcony brings the beach or garden views and sea breezes straight to you. 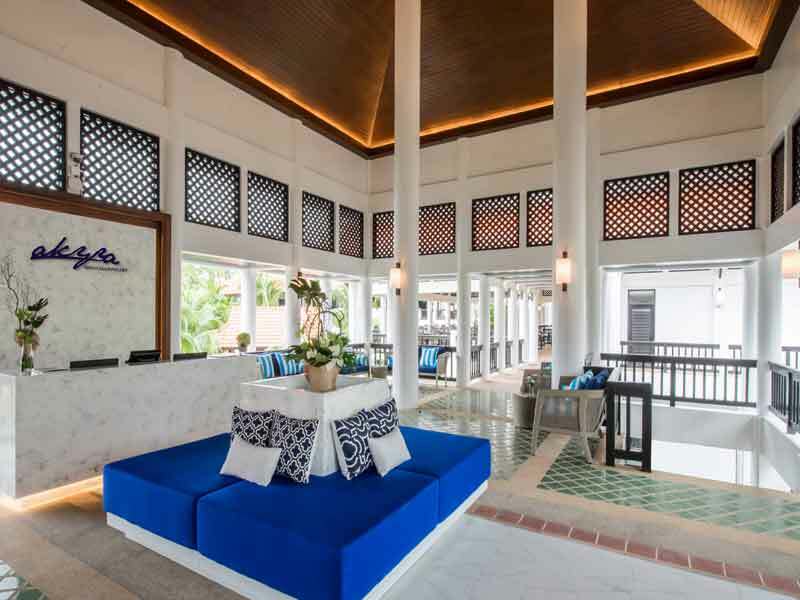 Contemporary Thai style with a natural edge blends warm hardwood floors with elegant décor, and a neutral palette with pops of blue to reflect the beauty of the sapphire Andaman Sea. 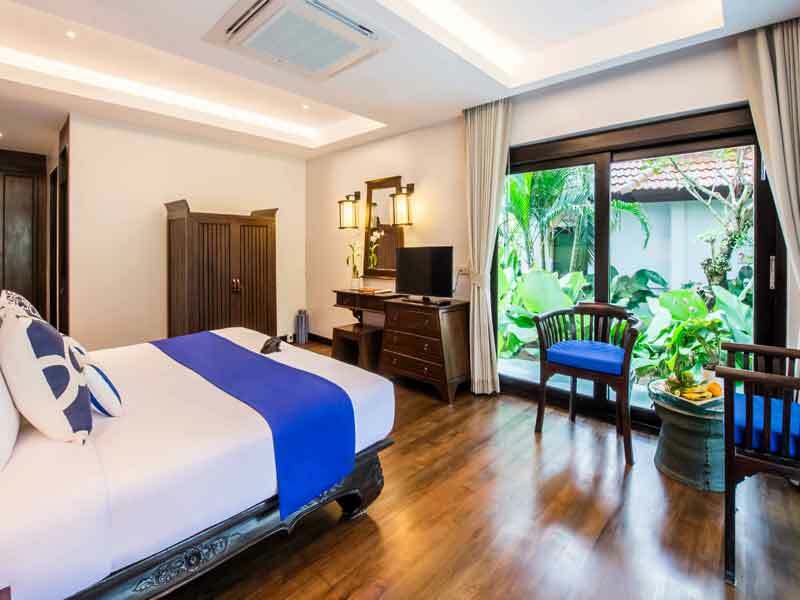 An oversized King bed, spacious bathroom with deep soaking tub, and cosy areas to relax or entertain await. 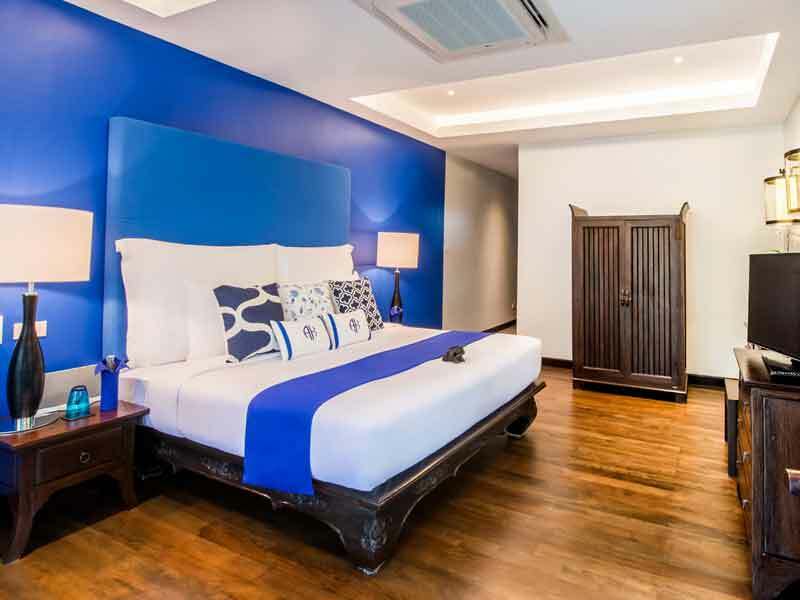 Each suite boasts satellite TV with cable channels, complimentary Wi-Fi and air-conditioning for maximum comfort. 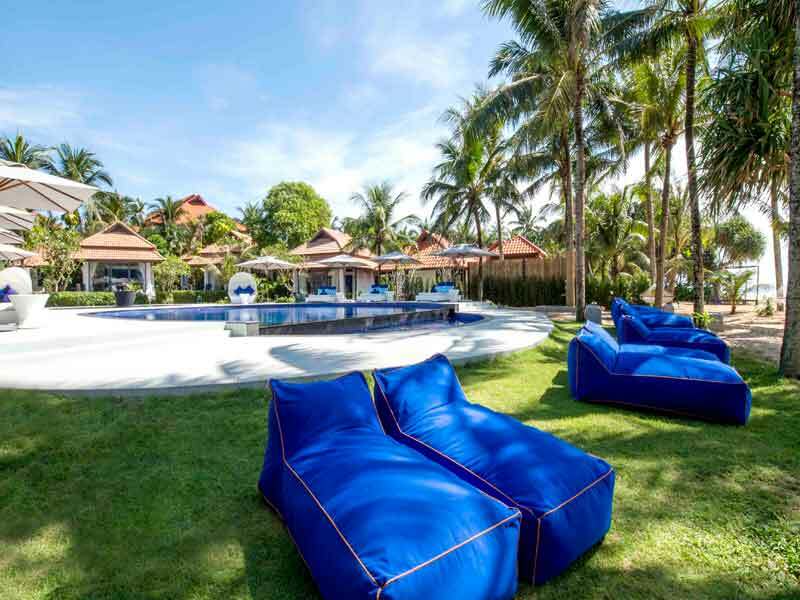 Garden Villa – UPGRADE from only $200 per person! At a spacious 50-60sq. 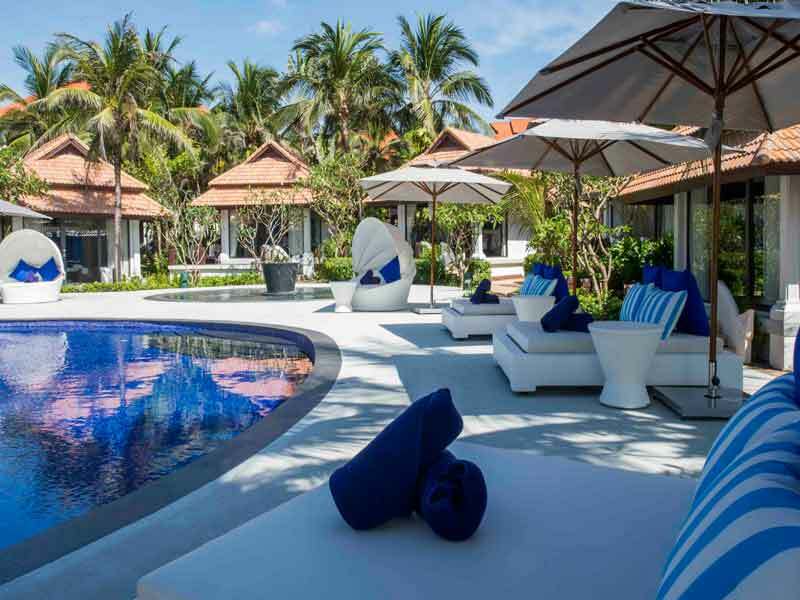 metres, your Garden Villa exudes elegance and luxury living. Gaze out over the commanding garden views from the comfort of your plush King bed! 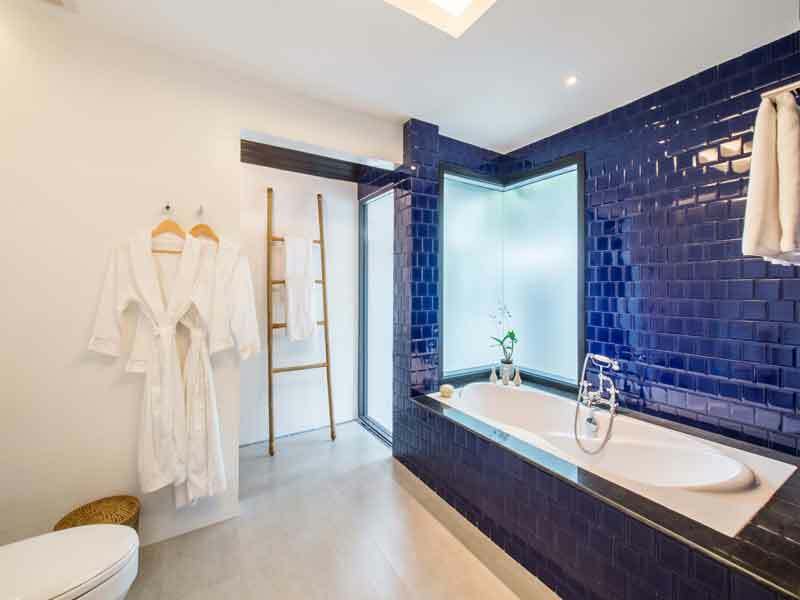 Alongside pool access on your doorstep, this villa flaunts a grand bathtub, cosy robes, tropical décor, chic timber flooring and a host of other amenities for your stay! 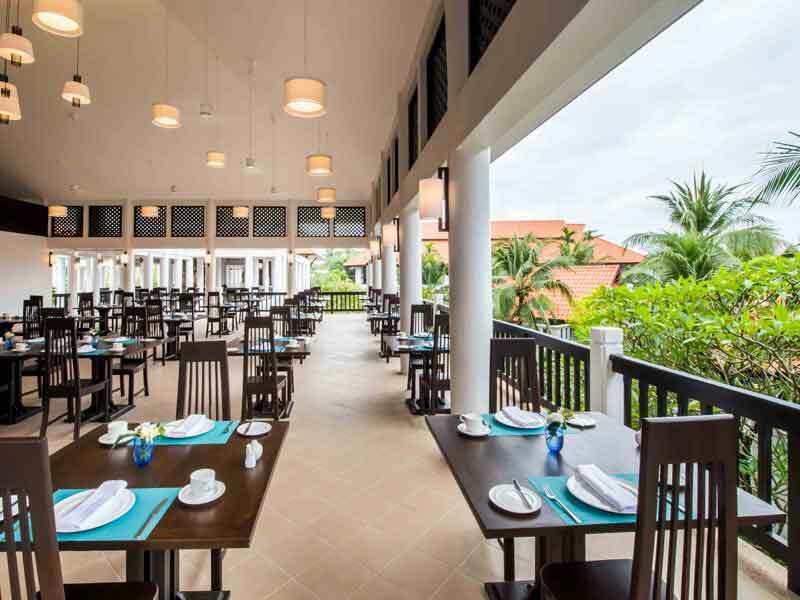 Sea View Villa – UPGRADE from only $400 per person! Feel like royalty in your Sea View Villa. Spread across 53sq. 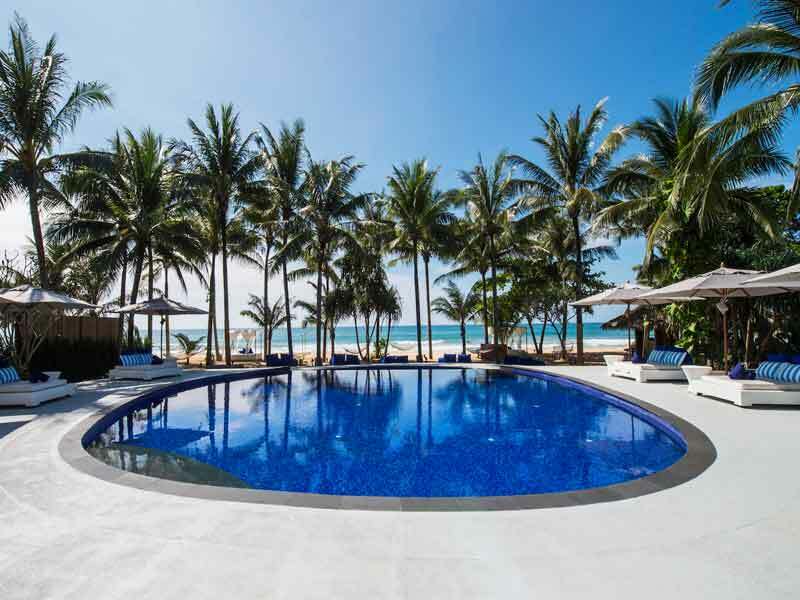 metres, your secluded haven boasts vistas of the free-form pool and the stunning Natai beach and Andaman Sea! If relaxation, rejuvenation and serenity are at the top of your list, this is the place for you. You villa also features a lavish King-size bed, tropical timber décor, a deep soaking tub, luxurious outdoor patio and more! 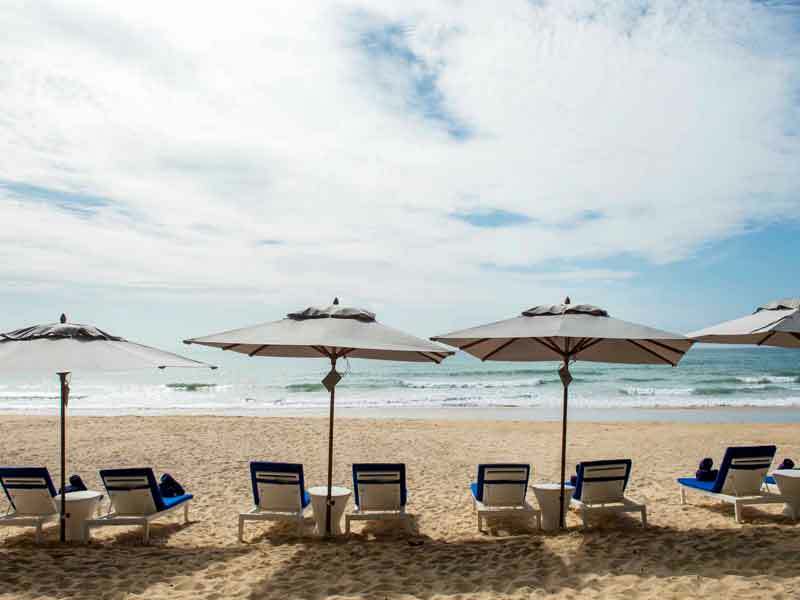 Get away from the crowds and into tropical Thai bliss on this secluded stretch of the Sunset Coast. 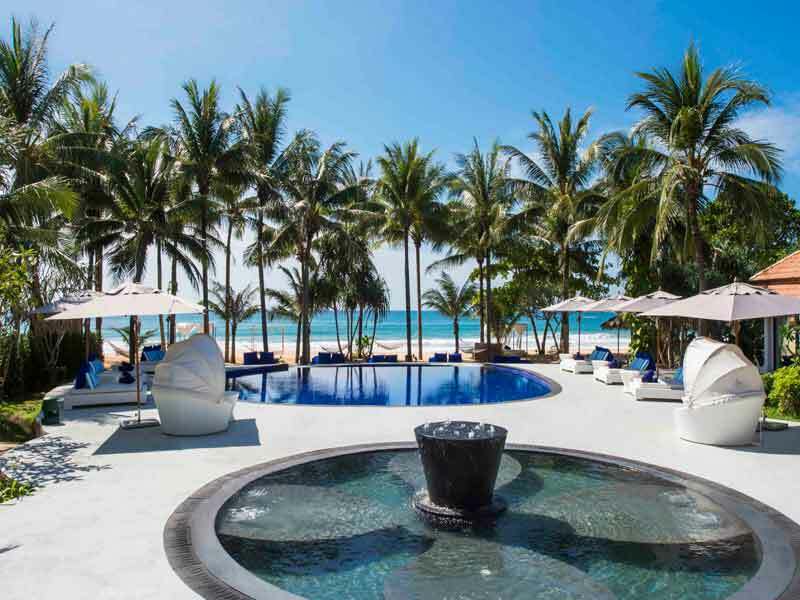 Laidback vibes and a cool, tranquil atmosphere are perfectly paired with the chance for adventure and wonder in this boutique-style luxury resort. 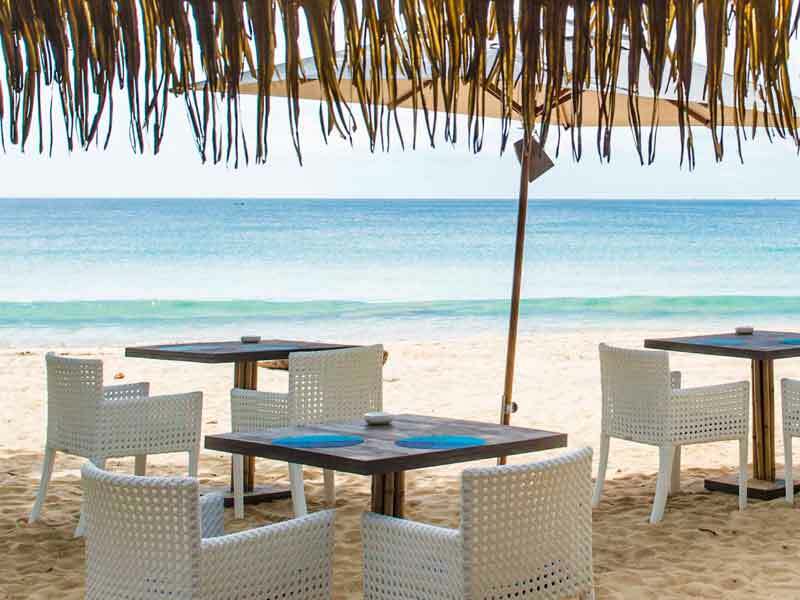 Read more about akyra Beach Club here! ^AIRFARES are based on promotional Air Asia economy class fares. Flights are via Kuala Lumpur and may not operate daily. Cannot stay longer than 1 month after departure from point of origin. Prices are subject to promotional fare availability. Air surcharges apply during Australian school holidays and peak travel periods.